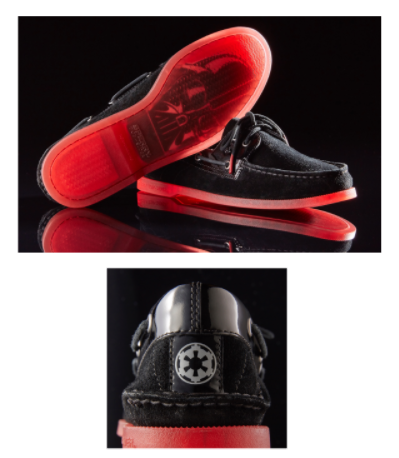 Recently, I was fortunate enough to receive a pair of Sperry Topsider’s new Darth Vader A/O boat shoes. These shoes are truly exquisite. The attention to detail is impressive (most impressive), and the quality is exactly what one would expect from a pair of Sperry shoes – top-notch! Check out my unboxing video for all the specs and details, and also read on for more information about these shoes, as well as the others in the line, which was launched December 7, 2017. Sperry is a well-known American company, and was founded in 1935 by Paul Sperry. His brother, author Armstrong Sperry, often featured nautical themes in his books, and this inspired the original designs of the shoes…boat shoes! During World War II, Sperry was declared by the U.S. War Department as one of the official shoes of the U.S. Navy. Since then, the name has been synonymous with preppy style and overall high quality. A/O stands for Authentic Original, and is the signature boat shoe of the Sperry line. The Darth Vader A/O Boat Shoe has the following specs, which you can see in detail in the pictures here, as well as the unboxing video. I give some detailed knowledge about some of the specs, so be sure to check it out! You can always check out Sperry.com for even more info. The shoe is available in both men’s sizes (7-13) and women’s sizes (5-12), and are advertised at $109.95 (plus S/H if you order online). “Dark, brooding, destructive. The name of true villainy is Darth Vader. It’s only fitting to pair such genuine evil with our Authentic Original. This devil can be found in the details with ribbed detailing and gloss finishing taken from his iconic outfit, along with lace tips and tinted, transparent rubber inspired by the ominous red of his light saber. Beneath it all lies a print of his mask for a sole as dark as his. The fit was true to size for me. I have “normal width” feet, and they seemed to fit perfectly. If you have wide feet, I can’t promise how well the width will feel on your feet. The EVA heel is heavenly! I have never had a pair of shoes that feel so comfy on the heel strike. The EVA is an orthotic-grade material, and it makes a huge difference in the overall feel and wear. I appreciate the wet-dry traction of the sole, and it is definitely grippy enough for slick surfaces, yet not overly so for wear on surfaces such as carpet and/or solid floors. Lacing was easy. I was a bit skeptical of the laces at first, being so thick, and I thought perhaps they would come untied easily. I was tempted to double-knot the laces, but they stayed in place for hours without any loss of tightness. The suede is SO soft! I might go ahead and spray it with a Scotch Guard-type protectant because I’m afraid the beautiful quality will get lost over time and longer wear. The other details of the shoe are just amazing – the Imperial symbol on the back of the heel upper, the stitching on the heel cup upper, the visage of Darth Vader looming just below the surface of the sole, and the red aglets on the tips of the laces are all indicative of the top-level attention given to the overall design. These shoes from Sperry really are a great addition to any Star Wars fan’s wardrobe. As for my numbers, this receives a 5/5 Galactic Credits Rating! Quality, attention to detail, and look combine to give us an awesome product! I look forward to breaking these in, and wearing these shoes for years and years to come! Thanks again to Sperry for providing me with this product to review! Please feel free to ask any questions or give any feedback in the comments below, or you can contact me on any of my social media outlets listed here.